Explore the mysteries of the cosmos! Too often, astrology guides obscure the mystical wonder of the zodiac with overly tedious details about nodes, houses, angles, and aspects that even Ptolemy would reject. 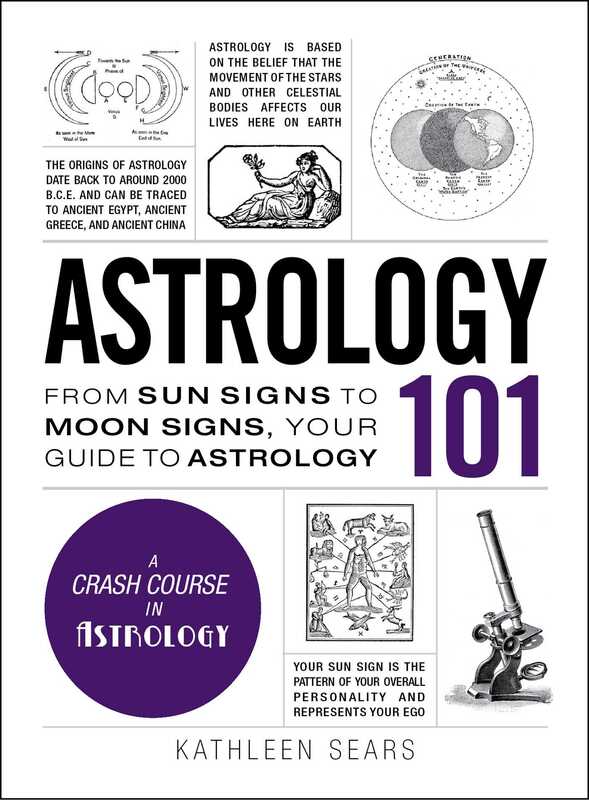 Astrology 101 cuts out the boring details and lengthy explanations and instead gives you a hands-on lesson that keeps you engaged as you learn how the movements of the stars and planets affect human behavior. From the four elements and twelve houses to astrological personality types and sign compatibility, this compact primer is packed with hundreds of fascinating star sign facts, informative charts and illustrations, and stories of famous astrologers and their predictions for the future. So whether you're looking to find how a Mercury retrograde affects you, or just want to learn more about a specific sun sign, Astrology 101 has all the answers--even the ones you didn't know you were looking for. Kathleen Sears has a wide array of interests and enjoys taking a deep dive into new subject matter. She is the author of American Government 101, Mythology 101, US History 101, Grammar 101, and Weather 101.